Please fill out the form below to have The Invitation Station contact you with a quote and more information. 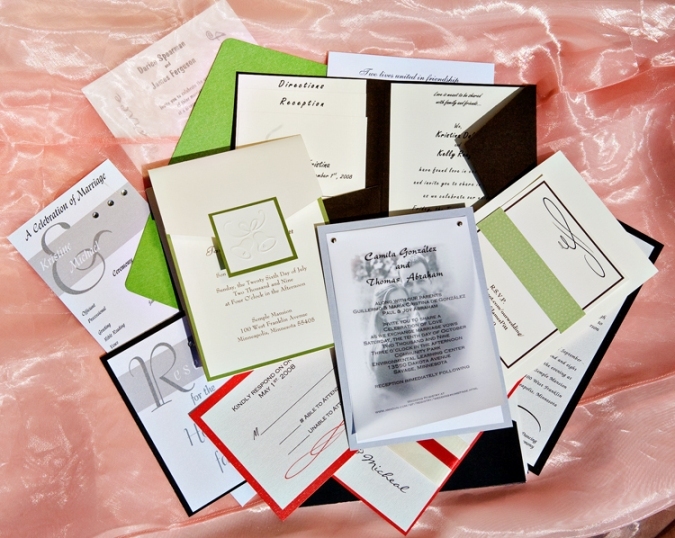 The Invitation Station is a small business that will create any custom invitation or announcement for any occasion. Our goal is to take your special day or event and make it one to remember. We are two die hard crafters that met several years ago and the love of the craft bonded us to start this business. We start from scratch on every order to make your invitation a one-of-a-kind, unique masterpiece. Pocket, Square, Tower, Trifold, Belly Band, Vertical, Horizontal, Folded Jacket, and Gatefold! The Invitation sets the stage for your special event. Your invitation should reflect your own personal style while presenting clear information. The invitation is considered the most important component to the invitation set. It tells the “who, what, where and when” of the day. The enclosures you might include contain additional information. The invitation should be sent out 4 – 6 weeks before the event. If your guests are from out of town, the invitation should be sent out 8 or more weeks in advance. Had my daughter’s wedding invitations. Made by The Invitation Station, Had soooo many comments on how great they looked, thanks Toni!!!!! Thank you sooooo much Invitation Station for the BEAUTIFUL invitations, menu cards, photo booth frames, water bottle labels, and table numbers. I received soooo many compliments on how amazing the invitations were and that they were the most exquisite they have ever seen!